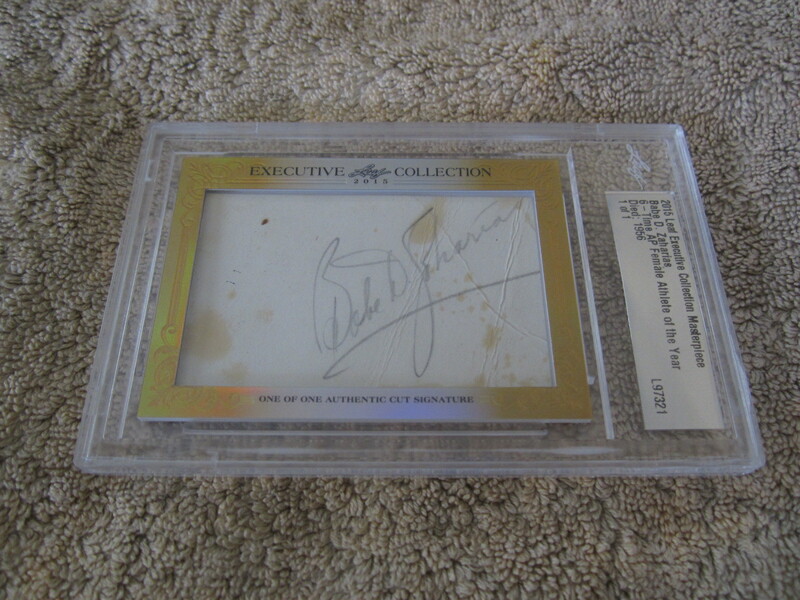 2015 Leaf Executive Collection Masterpiece authentic cut signature card of Babe Didrikson Zaharias, widely regarded as the greatest female athlete of the early 20th century and later an LPGA superstar golfer. 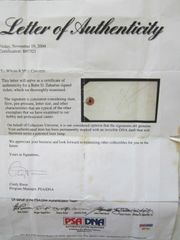 Zaharias died in 1956 making hers an extremely rare autograph. 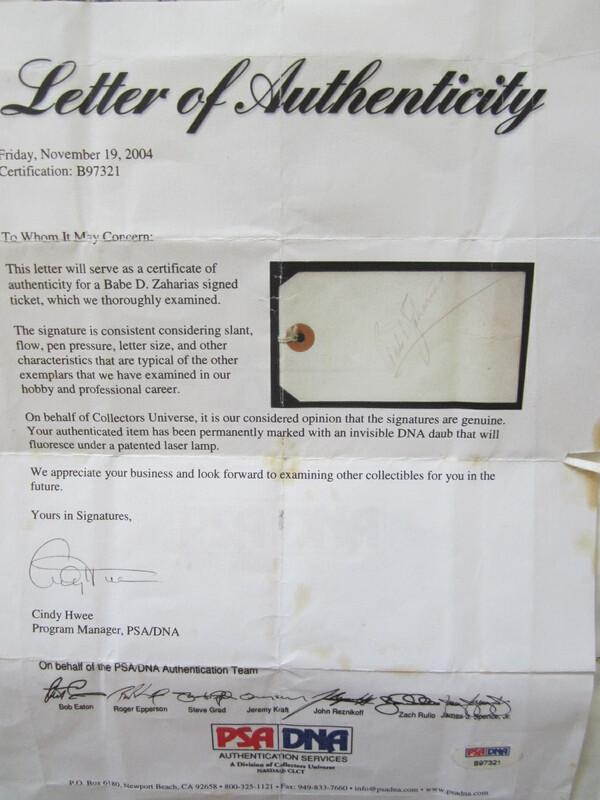 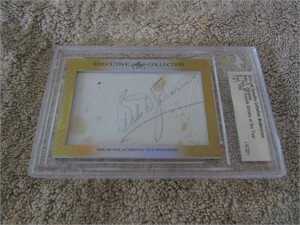 This is a unique 1/1 card that is authenticated by PSA/DNA, with their full Letter of Authenticity (folded and stained and slightly torn).